Penn shook up the Ivy race by pushing the pace and rebounding, knocking off title contender and archrival Princeton at the Palestra. I suppose I would be remiss if I did not comment on Saturday night’s game. As pleased as I am about defeating Princeton, I still don’t know what to make of these Quakers. After Saturday, one is tempted to say that Penn has an absolute chance to win the Ivy Title. On the other hand, the only thing truly consistent about them over the last two frustrating seasons has been their inconsistency. They usually follow a good performance with a flop, the tell tale sign of an immature team. What is clear, however, is that their future success or failure will most likely run through “The Big Hyphen,” DNH. If he, Doc, MJC, and Tony Hicks can remain healthy, anything is possible. This might be the most hotly contested title in League history and I am expecting an exciting season. If this game is any indication of Penn’s potential, it should be a good one. My father once told me, “One swallow doesn’t make the spring.” Hopefully for Jerome Allen and his young Quakers, with this win over a hated rival, it may at long last be the thaw. Stay Red and Blue my friends. Indeed, with Princeton losing its first game out of the starting gates, this almost guarantees that Harvard wins the championship. Harvard was already a heavy favorite and with its most likely pursuer now 0-1, the math looks overwhelming. I’ll leave it to Mr. James to update his model, but I think Penn’s victory makes the race less competitive, not more. Before Saturday night, the League looked like one big favorite, three or four marginal contenders and then three or four also rans. The reason Harvard was a heavy favorite is that, over the course of 14 games, the marginal contenders would give each OTHER losses. Even if one of them sprang the upset against Harvard, there were too many of them not to pin L’s on one another. With the Harvard’s chief obstacle to a title having lost to one of the teams which perhaps inaccurately looked like an also ran, the race is almost over now. I oppose an Ivy tournament, but with the Ivy race practically over after one game, you can see why its supporters feel the way they do. Strong point, Olmstead. The only consolation I see to those who are hoping for a competitive race (myself included) is the emergence of Columbia. The Lions have a real shot to head to Jadwin at 4-0 on Feb. 7 if they can continue their hot run of late. Harvard’s schedule is back-loaded (6 of final 8 on the road), so they will certainly go into Levien on Feb. 14 at no worse than 5-1, and probably, 6-0, where they’ll look to exact some revenge for last season’s beatdown. Well put my friend, but you are forgetting the random injury or 2 that can twist the balance. Even without them, I think the back to back nature of the schedule and the increased talent in the League will have its problems for the Crimson. To say it’s “over” after one game is a little hasty. Harvard is not invulnerable and i’m not conceding the crown to them just because they look the best by ken pomeroy. Princeton, Columbia, Yale and even, I dare say, Penn could tag them with a loss. I love the Quakers but honestly felt they had no chance yestrday. The best part is no one knows. We’ll all just have to find out. Yes, of course, injuries will always play a role over the course of a 14-game season. But here again, the odds greatly favor Harvard. Not only do the Crimson have the most talented starting five, they have by far the deepest bench. Sure, if ALL the “random” injuries over the next two months happen in Cambridge, the rest of the field will catch up. But if there is indeed a random pattern, Harvard does even better comparatively. Look at your beloved Quakers. Without just a single player, Darien Nelson-Henry, Penn is, well, awful. Harvard can loses ITS best player and still give a very good game to UConn. Indeed, Harvard could probably lose any random three members of its starting five and still beat the other seven teams’ starting rosters. Better hope for a mono breakout in Harvard Yard. All true, but even Penn’s final four team lost ( to Columbia ) but this year’s league is more balanced. Harvard is indeniably the favorite, no question. I hope you’re wrong, but we’ll all know soon enough. With all the gloom heading into the match-up for Penn (injured players, poor performances against fair-to-weak teams, over matched coaching staff and the empty arena with students on break), it was great to see a rocking Palestra with two teams playing a close game adding to one of the college basketball’s great rivalries. Thanks for the write-up AQ. I do, however, want to give a shout-out to the bench play. With DNH needing frequent breaks, Henry Brooks and Cam Gunter did not get into foul trouble. While that may not seem like much, that is a huge deal for this Penn team. Steve Rennard, who has not played much (or well) this season, jumped ahead of Lewis and Bagtas on the depth chart, and had a solid outing – even if his numbers were not ideal, he did a good job defensively. Since Penn does not seem able to eliminate their negatives with any consistency, they will have to replicate as many of the positives as possible during the remainder of the season. With stronger front courts at Columbia, Brown and Dartmouth, that may be difficult. Oh well…. At least we Penn fans have a few weeks to savor this great moment. Yes, they are still heavily a project. I expect them to bite a few other unsuspecting teams, but their bad night will indeed be bad. Interesting that Greg Louis didn’t play. I think he is usually a better choice at forward than the Henry “the enforcer” Brooks. Whereas before the season I had dreams of a possible title run, I honestly think a conference split may be hard for them to attain. Hopefully, I will be as wrong as I was about yesterday’s result. Can’t find much fault with your analysis, rb, except that I think the Quakers don’t deserve much credit for “limiting Princeton’s 3 pointers.” The looks were good ones, certainly the shots the offense is intended to produce, particularly in the first half (when the Tigers were 2-11) but some nights they go in, some nights they don’t. If the Tigers matched their season average on the same # of attempts they had Saturday they would have scored 6 more points. Our discussion then would be about how well Penn played in the near-upset. 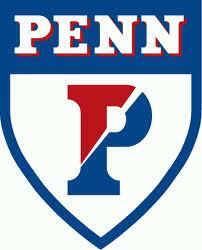 I hope you understand that I am now a Penn fan for their next 12 Ivy games. If they are to compete they MUST limit TO’s and get 30+ minutes from DNH.